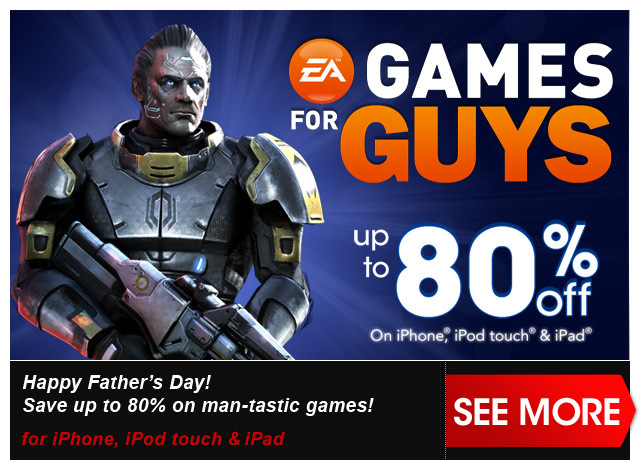 Electronic Arts wants to wish all the Dads and Grand Dads out there a Happy Father’s Day! To celebrate, they’ve kicked off a “Games For Guys” sale, dropping prices by as much as 80% on the games that might interest the father figures in your life. Pick up a few of the adrenaline-packed goodies for an inexpensive but fun-filled gift.